The Riese & Muller Delite GX Rohloff HS, for off-road biking enthusiast who likes to have an experience with a touch of speed. 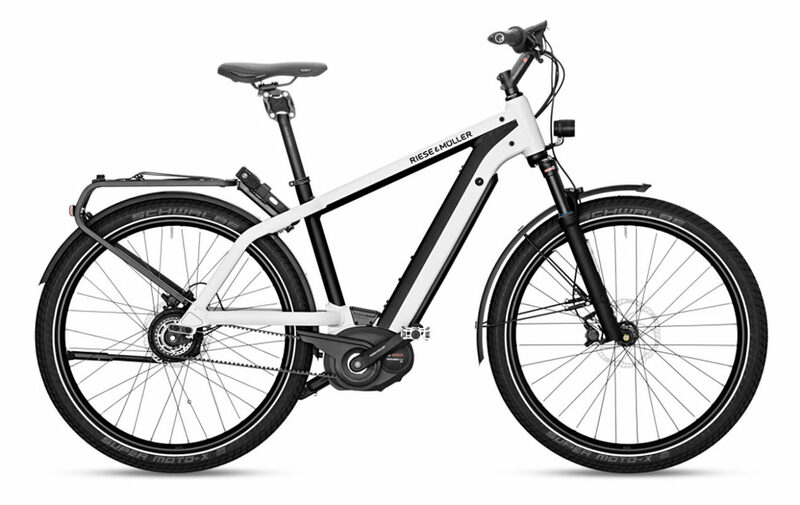 Anyone who enjoys challenging mountain tours or goes on sporty rides through town and country will make great use of the extremely robust electronic 14-speed hub gear Rohloff E-14 with Gates belt drive, an enormous gear range of up to 520% performance and extremely low maintenance requirements. Stationary shifting is also possible. The Bosch Performance Speed motor provides assistance up to 45 km/h (28 mph). First-class features including Control Technology with full suspension, Schwalbe Rock Razor Fat Tires and hydraulic Magura MT4 disc brakes deliver even greater riding pleasure. Visit our Delite GX collection to see similarly awesome electric bikes! 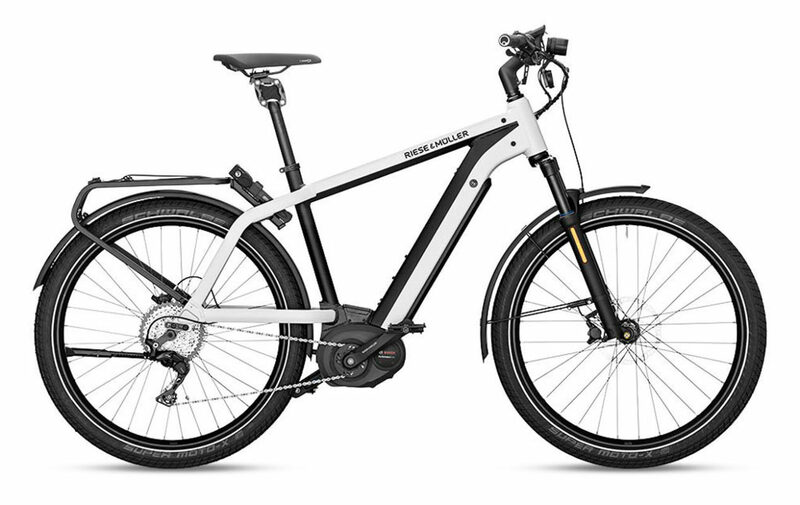 Motor: The The Riese & Muller Delite GX Rohloff HS comes with The Performance Speed drive the fastest Bosch E-Bike motor. Sporty start-up characteristics, 350 watts of power and pedal assistance up to 275 % guarantee the ultimate riding pleasure with a maximum drive torque of up to 63 Nm with derailleur gear and up to 50 Nm with hub gear. Brakes: The The Riese & Muller Delite GX Rohloff HS is equipped with Magura MT4 disc brakes. High braking power and stability make the MT4 a reliable companion on many different trails and terrains. Top Speed: The The Riese & Muller Delite GX Rohloff HS has a top speed of 45km/h. Accessories: The The Riese & Muller Delite GX Rohloff HS comes with Supernova M99 Mini Pro-25 and Supernova M99, integrated brake light for safety, it also comes with an SKS A65R mudguard, a Pletscher Comp 40 Flex kickstand, and a Spanninga horn. Our team has a lot of experience outfitting bikes with additional accessories, so be sure to reach out to us if there’s anything you may need. The standard DualBattery with a total of 1,000 Wh (2x 500Wh PowerPack) of power offers maximum range and comfort for those wanting to reach distant destinations or recharge even less frequently. Which is a massive plus for commuters and on a long tour.